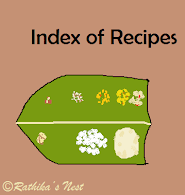 Though Rathika's Nest offers more than 200 recipes, some of the recipes are more sought after than the others. Top 10 Recipes are those recipes that had most number of page views as of now. Follow the links to check the 'Top 10 recipes' listed below. 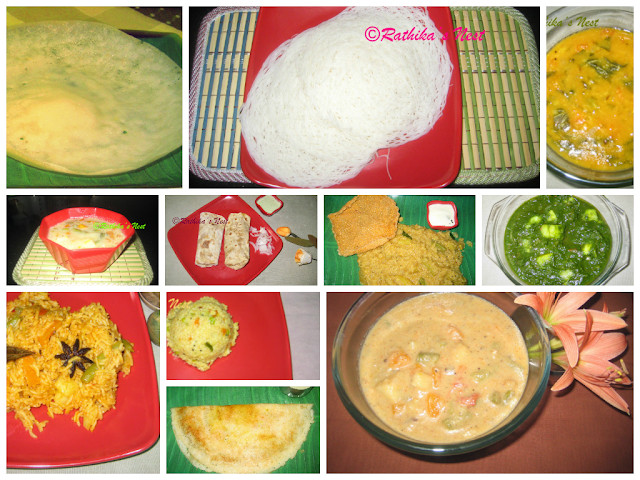 You may also write to rathikasnest@gmail.com for a free e-booklet of 'Top 10 recipes'! Happy cooking!